In his latest missive, Tim Price explains why academia's biggest contributions to finance are wrong - Modern Portfolio Theory, the Capital Asset Pricing Model (CAPM) & the Efficient Market Hypothesis .. "QE has subverted the relationships between supposed safety, returns and risks." 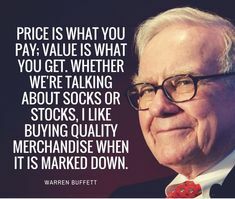 .. points out how Warren Buffett has made the same observation when he wrote about the Superinvestors of Graham & Dodds in his appendix to Ben Graham’s reissued ‘The Intelligent Investor’ in 1984 .. Price: "There is a class of managers that has meaningfully outperformed the market over many years, whilst simultaneously taking on less risk, because everything they buy offers a ‘margin of safety’ by comparison to more expensive (and therefore riskier) stocks. They are called value investors and we are extremely happy to be invested right alongside them."